This gray serving cart will keep items in place. The 3 shelves have a textured surface that prevents product from sliding. 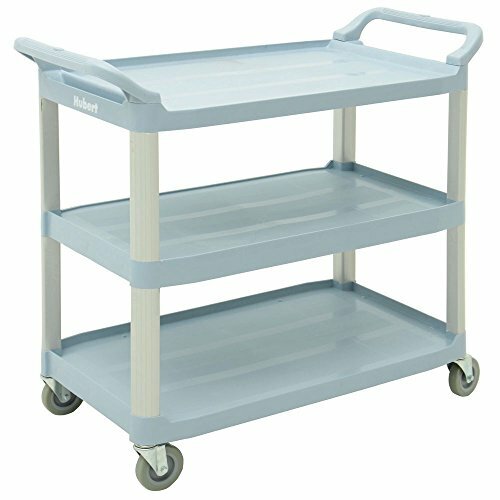 This serving cart has strong polypropylene shelving for durability. The 33" x 16 13/16" unit has a molded in handle that helps with stability. Easily maneuver through tables or across rough surfaces with the swivel casters. The serving cart has shelves that are spaced 11 3/4" with a shelf size of 26" x 16 1/2".